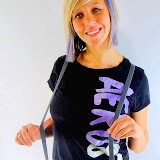 Welcome to Holdup.com where we feature over 250 styles of mens and womens USA made suspenders manufactured by Holdup Suspender Company in Southfield Michigan. Super Soft UnderGarment Suspender made to wear under your shirt. Holdup suspenders now come in 1", 1-1/2" and 2" wide styles with prices starting at 18.95. All orders are shipped with a free full color catalog for easy re-ordering. You can also view our newest Suspender Style Color Catalog in a .pdf format right now online... click here! Welcome to Holdup Suspender's web site showcasing our complete product lines of quality made pant suspenders. Our site was opened in 1997 as we became the online leader in both suspender sales and customer service. Now in 2014 we offer a expanded line up of patented dual clip Double-UPs to go with our 350+ style choices in patented clip-on men's and women's suspenders. Get a pair of Holdup suspenders and give yourself a New fashion makeover Look with just the snap of a clip. Order online or purchase from our 2200+ USA retail outlets who promote our famous brand on men's and ladies suspenders. We are the #1 source for quality suspenders on the internet and offer you Free UPS ground and USPS Priority Mail shipping to Continental USA locations on all orders over $75 . Choose from the largest selection of USA made top quality suspenders for Guys and Gals from a site that has been online serving loyal Holdup brand customers since 1998. Men's Apparel Newsflash Amazing solution to one of Man's oldest problems has finally been discovered! Holdup Suspender Company has found the cure for frustrated suspender wearers all over the world tired of normal suspenders that keep flying off their pants. Browse our site for either single or dual clip suspender models from the left hand side style navigation links. All are made from top quality USA made materials and feature a clip that holds ...like no others. See how our customers have earned us the title of "best converting" product web site in the world..... year after year. See our Patented suspender clip beat the 50 lb bar bell weight in a continuous stress test over a 30 day period. We are the only company offering the no-slip suspender clip on every pair of suspenders. Amazon Prime and regular Shoppers.. Buy Holdup Suspenders from our new Amazon Web Shop...click here for FREE Freight for all Amazon Prime or regular Members using Amazon secure checkout! We guarantee our quality built suspenders will never slip - slide or fly off- and have the first suspender patent in 118 years to back up our claim. Take this opportunity to review our complete lineup of suspenders in a variety of styles and colors... all tastefully designed to please the most discriminating wearer. CLICK HERE to see more of the Holdup Suspender story and why the 21st Century Man will "Always be Up for any Occasion" while wearing the Holdup Brand suspenders. ** Holdup Suspender Company was awarded both a unique design and rare utility patent for their Undergarment Suspender line sold here... This patent number # 8,209,779 was granted on July 3rd 2012. Rarely does the US Patent office grant both utility & design patent, which inventor Sal Herman got for their undergarment suspender line featuring a unique Velcro Type length adjustment system. The other style we call the Hip-Clip™ or trucker style, attaches with just 2 silver no-slip clips, or composite plastic gripper clasps, at the side of the pant's waistband. This Hip-Clip style has a patent pending and all have super-soft washable comfortable elastic straps and sewn x-back crosspatch. All feature the smooth Velcro type strip length adjustment system. Buy several Under-Up styles and learn why they're the most comfortable suspenders you ever owned. Introducing 2" wide Under-Ups in 4 styles including two Extra Long XL models for $3 more. If you wear loose fitting shirts with pants or shorts you'll love the comfort of our undergarment suspenders. If your clip-on suspenders don't have our exclusive no-slip clips or clasps... then you have an inferior product. All Holdups are guaranteed to never slip-slide or fly off your pants..
USA Patented Hip-Clip, or Side Clip suspenders, attach to pants, or shorts, with just 2 patented no-slip clips. We now have these Trucker Style Hip-Clip™ "under your shirt" suspenders with either Plastic Gripper Clasps or Metal no-slip clips for only $21.95. NEW... Normal, or Plus-size Maternity Holdup Suspenders, make the perfect gift of comfort for all expectant Moms. Eliminates having to constantly "hitch up" those sagging elastic waistbands. Take a look at our Gorgeous teen models wearing Holdup solid colors and patterns in Thin (3/4" or 1/2") wide suspenders.... You can share the photos or download them and buy these skinny suspenders right here!! New here at Suspenders.com are these US Patented Holdup Shirt Stay-Downs designed to keep your shirt tails taunt and eliminate any shirt from billowing at your waistline. See full details on why our shirt stays (shirt tail straps or shirt-tail hold down garters) are the simple way to keep dress shirts in place for $21.95 per 2 piece set... in various styles shown below. We now have a new patented clip used in all our suspender lines. Take a look at our traditional dual clip "button-on" looking Double-Ups™ line . The new clips feature smoother edges and more angled clip cam to prevent accidental opening when sitting down on chairs and car seats. We are the world leader in suspenders on selection, satisfaction and service. Enjoy your visit to Holdup.com and tell some friends about our company and Made in the USA patented products. Our Secure ecatalog accepts PayPal, Google Checkout, and all major Credit Cards during our simple shopping cart checkout process. Guaranteed shipping direct from our warehouse by UPS ground service, or domestic USPS priority mail. at normal UPS, or USPS, insured delivery rates. The Google Checkout payment service currently allows shipment only to USA destinations. Customer orders are shipped within 48 hours, and require you have registered a Google Checkout™ account. All Holdup suspenders sold here will have FREE FREIGHT if your order is for at least $75.00, and you choose the default UPS ground shipping option, or the USPS priority mail service and have a continental USA delivery address. Your order will also include a free full color suspender product line catalog. Type in a Holdup Suspender Color, Suspender Catalog Series name or Style preference and see all the Holdup Style choices in this product search engine. Want a Holdup Suspender full color brochure? Call 800-700-4515 or e-mail us your address information and we will mail one to your home or business. We manufacture and distribute the Holdup Suspender Brand and Sloops comfort Jeans and slacks. Reseller storefronts should call our office during regular M-F hours and inquire about the reseller plan. You can also view our newest Suspender Style Color Catalog in a .pdf format right now online... click here!